Its drizzling in Westville and it’s pretty cool sitting at Toffies place on Cowleys hill. He is working on the LCSA constitution. I am trying to get through another of his recommendated books, sipping at my coffee and happy that the meeting with the friends from Concordia Lutheran Ministries [Philadelphia] went well. 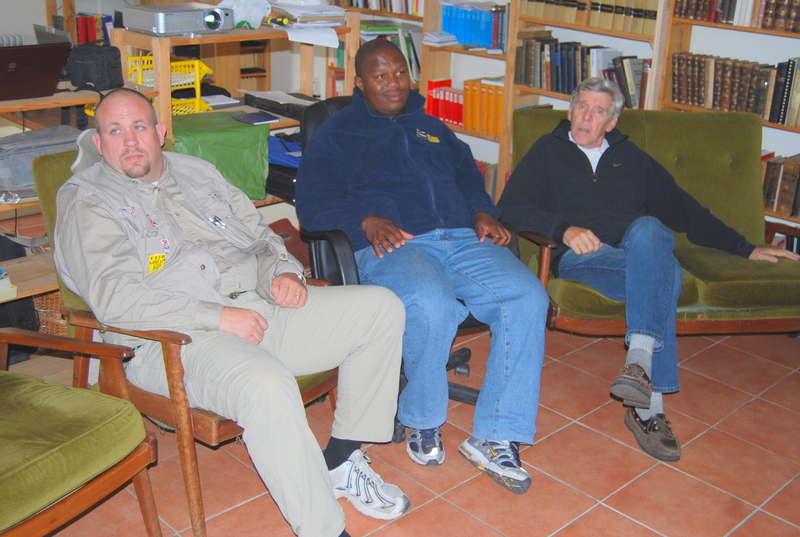 Together with Dean Thwala we demostrated possible projects in the Lutheran Church in Southern Africa – starting from Otse, Ramathea and Gaborone in Botswana right down to animal husbandry projects down in Ohlangeni, KwaZulu/Natal. An important goal is to get sustainability into the equation. For that we not only focus on education of deaconesses at the LTS, but also at good english schooling [Ramathea, Themba and Salem etc] and also financial revenue from renting out buildings/accomodation in Pretoria to building suitable places to rent out [Umlazi/Gaborone]. There are also plans to have chicken, pig and cattle farms. Human care issues are to address the huge challenges of those suffering from poverty, hunger, unemployment, isolation – especially orphans, single mothers and patients with HIV/Aids. Mission targets are Nhlangano, Swaziland and also Rustenburg, North-West. The coordination, strategy planning and leadership is expected from the Church leadership i.e. Bishop with the deans and other church council members in cooperation of their relevant constituencies.